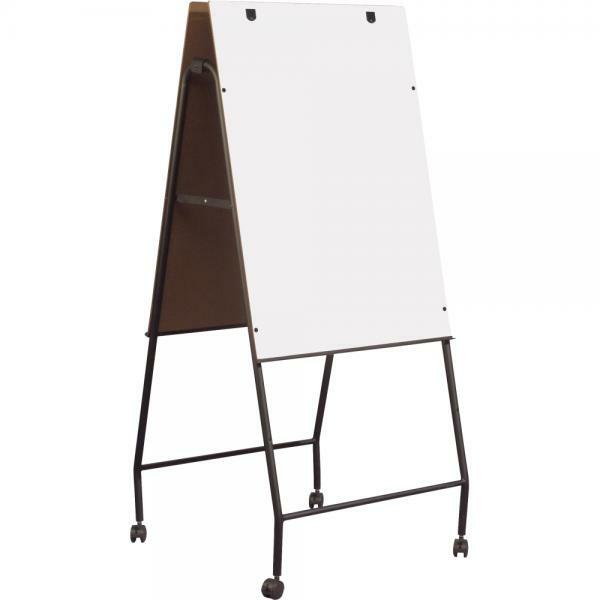 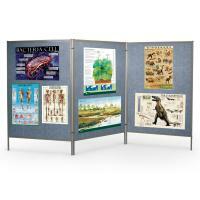 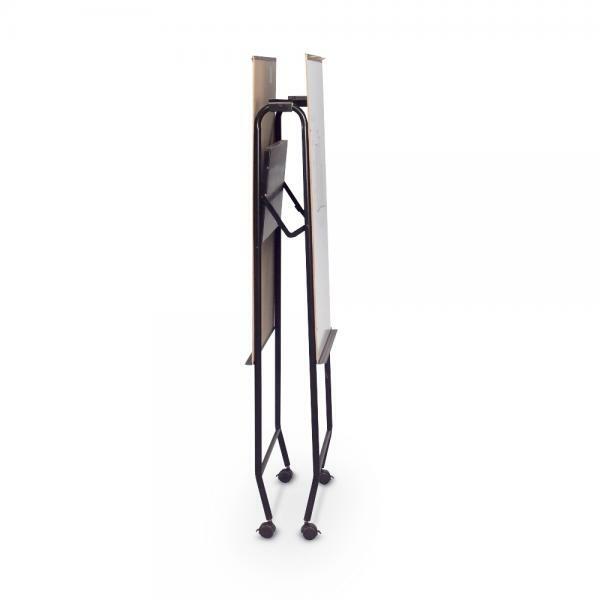 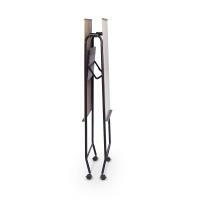 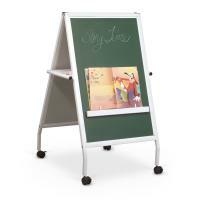 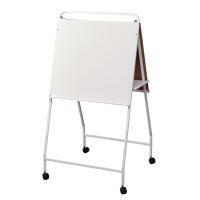 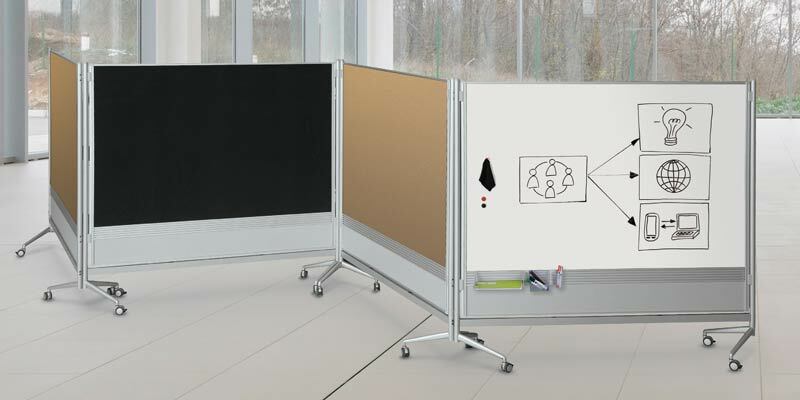 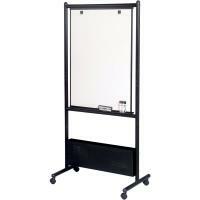 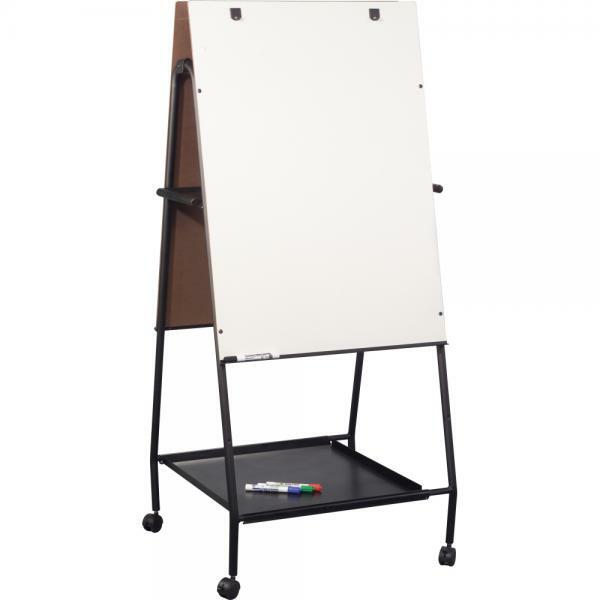 The Folding Wheasel is a mobile and versatile double-sided easel. 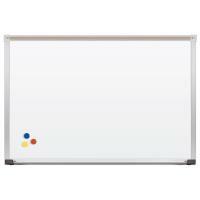 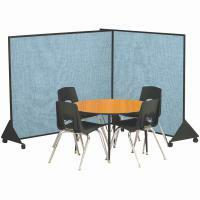 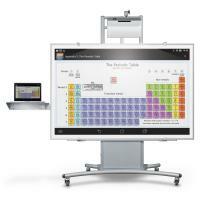 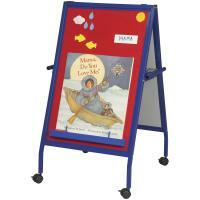 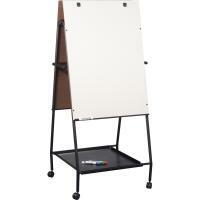 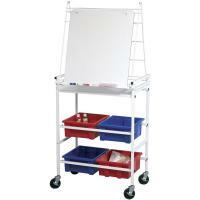 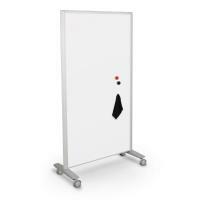 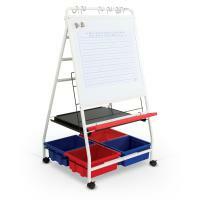 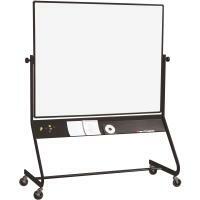 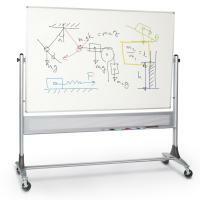 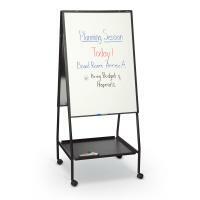 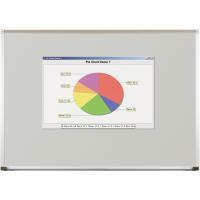 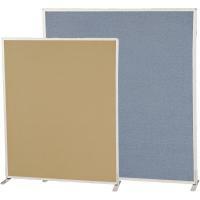 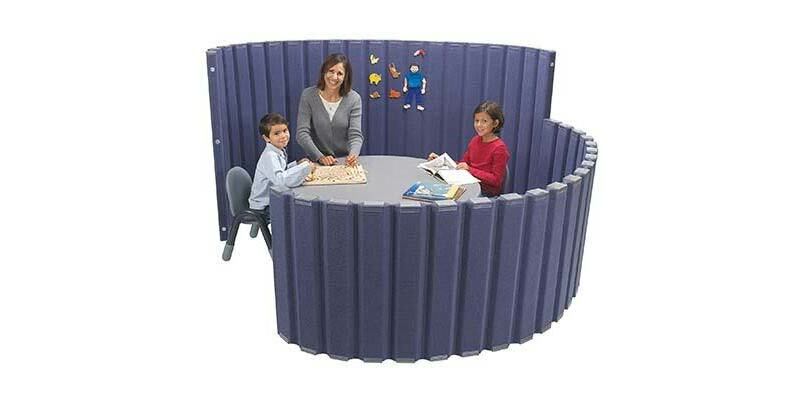 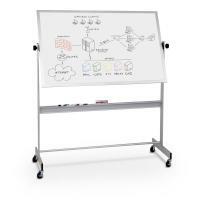 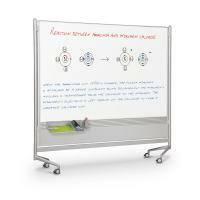 Includes two melamine surfaces, with two flip chart hooks and accessory tray on each side. 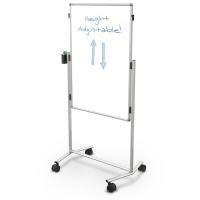 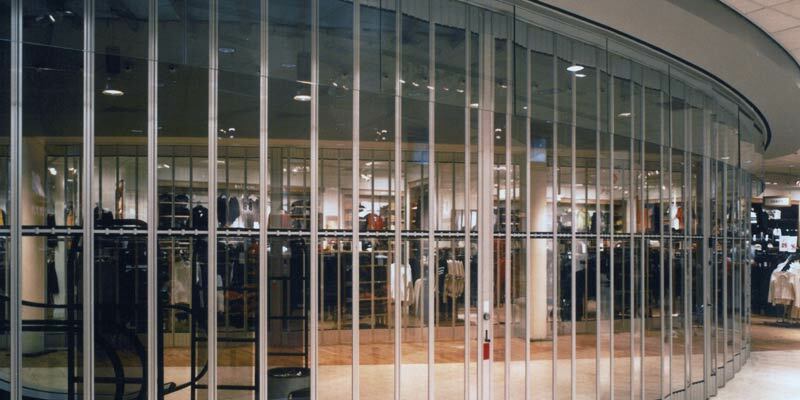 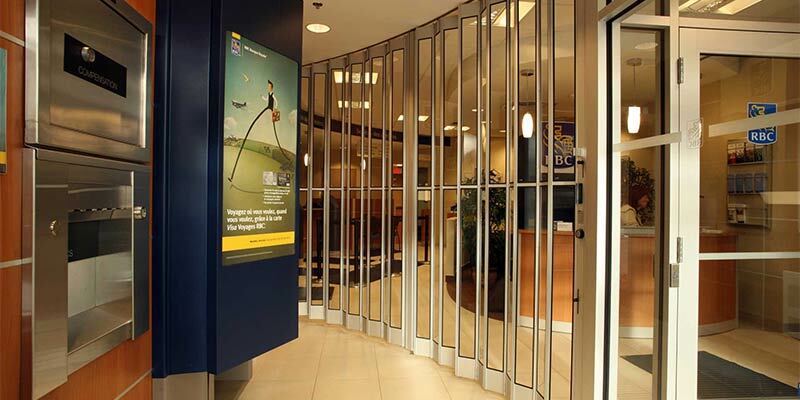 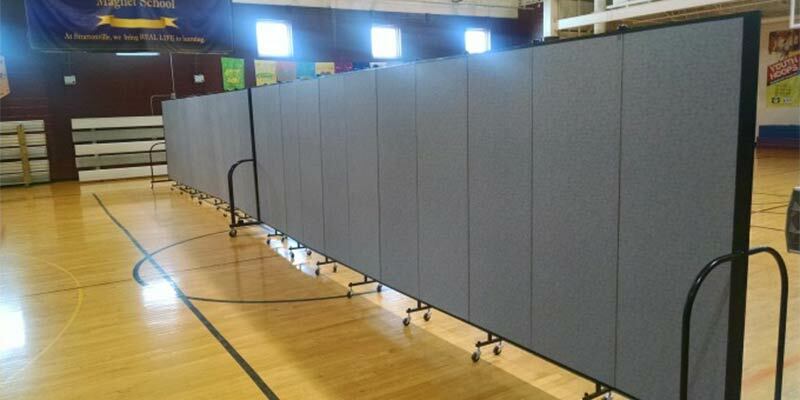 Height adjustable in two positions: 58 1/2" or 65". 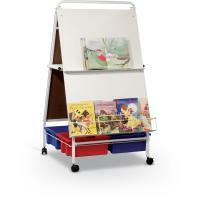 Middle shelf provides storage space. 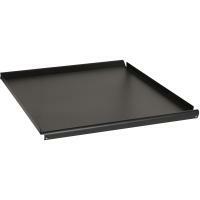 Optional bottom mount tray is available. 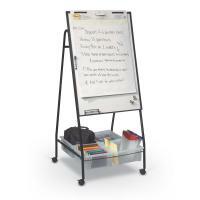 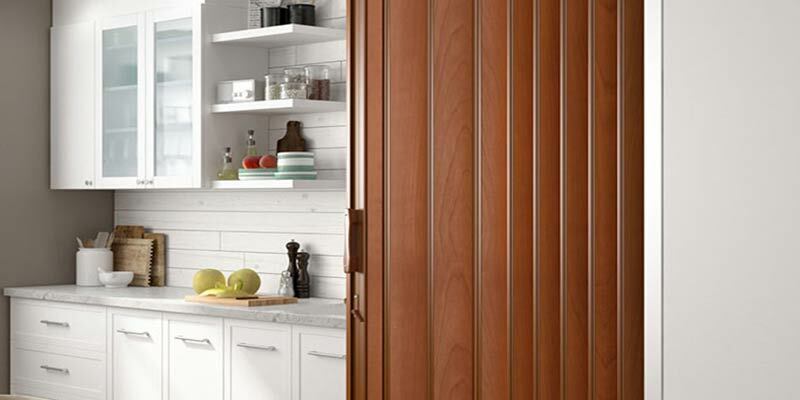 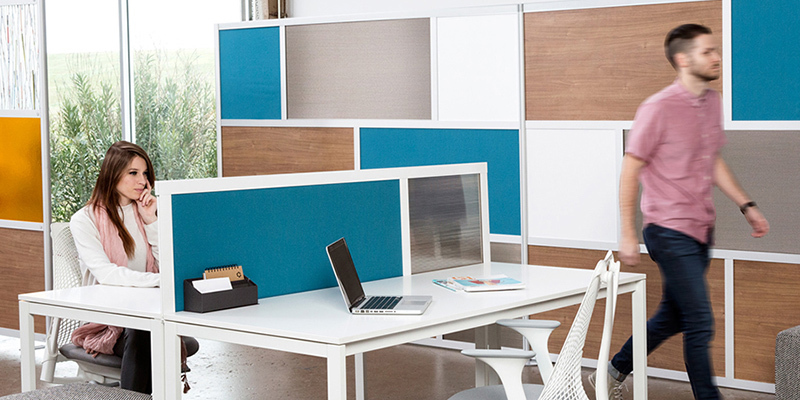 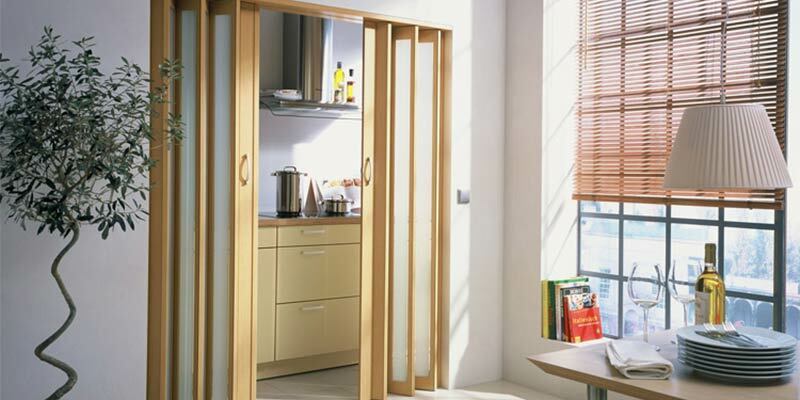 Frame folds for storage and includes 2" casters (two locking).